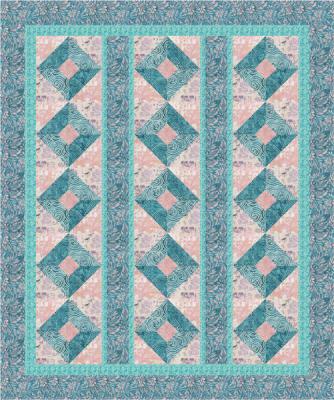 Barb Sackel has designed another winner with this quilt pattern! Batik Squares is going to prove to be just as popular as Batik Diamonds. Playing with Batiks is so much fun. 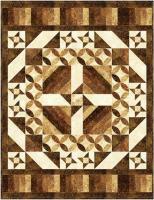 But this quilt will also look great with any style of fabrics; reproductions, 30's, or whatever your favorite style is. 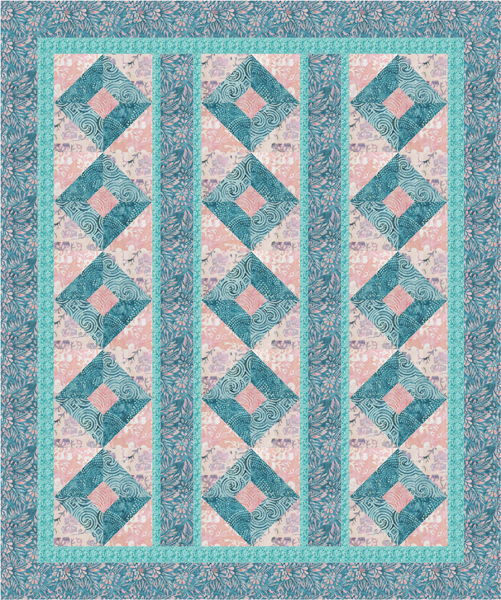 Have fun with this fast and easy quilt. This quilt pattern is AccuQuilt GO! 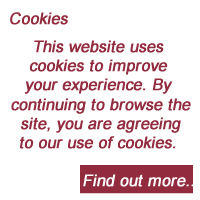 compatible and contains optional instructions for its use.